November 2018: We are nearing completion of this 3 story remodel overlooking the St. Croix River. The biggest change was moving the staircase so that it wasn’t in the center of the home. What a difference this has made! Please stay tuned for our professional pictures, but in the interim, enjoy some photos of the gorgeous stone work and the amazing views! 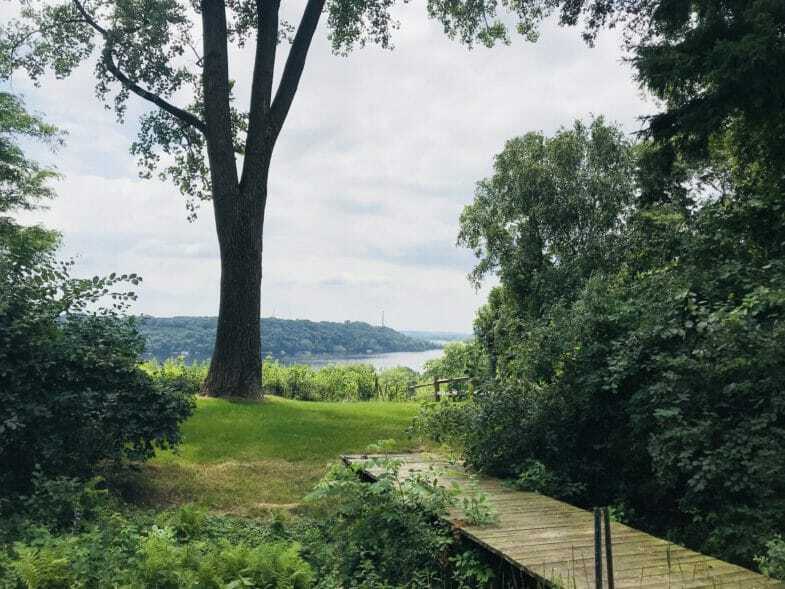 July 2018: Novare was contracted to do a 3 story remodel for this 1990’s home set near the St. Croix River. While the setting couldn’t be more perfect and serene, the home had some layout issues. The main focal point was the staircase that was set right in the middle of the home. While in some situations staircases are meant to be the star of the show, this one was better suited to being the back up singer! We decided to demo the existing steps and move the staircase flush against the front wall of the home, opening up the flow of traffic on all three levels. On the main floor, this created better sight lines from family room, to dining room to kitchen, while making more efficient use of the space. On the second level, this essentially eliminated the hallway maze and formed more of an open landing. In the basement, this allowed for a more functional family room. Check out the progress pictures, especially the view from the backyard!